Carissa Ashby could feel her daughter moving in the womb. She couldn't settle on a name. Baby Zoe perhaps? Nothing seemed quite right. Then, late in her pregnancy, Ashby woke up and just knew. She would name her Karma. Ashby, 32, had endured heartache before Karma was born: Two miscarriages, one in 2003, the other in 2004. A son stillborn at 30 weeks in 2005, despite regular trips to the doctor to convey her sense that something was wrong. Her pregnancy with Karma was monitored as high risk because of her history. 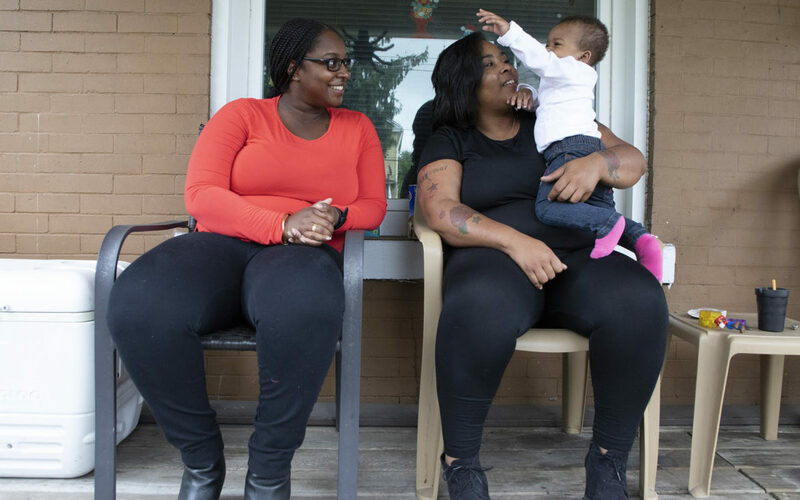 This time, she sought support from Healthy Start Pittsburgh, a nonprofit that works to reduce infant mortality by strengthening maternal health. Healthy Start began sending a community health worker to Ashby's home early in her pregnancy, she said. Later, after her daughter was born, it was Montia Brock of Healthy Start who consistently visited them every month. On Aug. 21, 2017, Karma was born to term: 7 pounds, 1 ounce. “I felt like it was meant (to be). She’s my little piece of karma,” said Ashby, of Swissvale, who also has an 11-year-old son and 8-year-old daughter. Brock, a perinatal health policy specialist, still visits monthly to track Karma’s progress and share information and advice with the family. Karma took her first steps on Sept. 24. Less than two months ago, she turned 1 — a milestone in a child’s development, as they move past the fragile newborn stage and hurtle toward toddlerhood. The Centers for Disease Control and Prevention consider infant mortality to be a bellwether for the overall health of a society. The infant mortality rate is determined by measuring how many infants out of every 1,000 born die before their first birthdays. 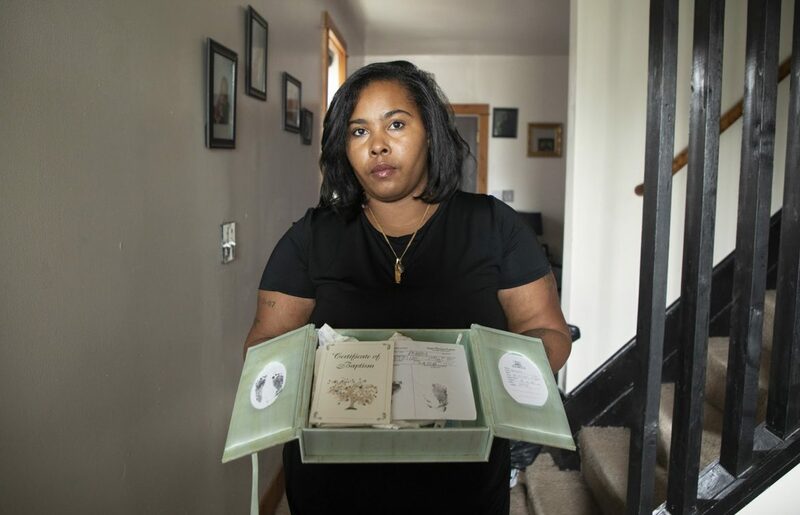 The rate in Allegheny County is lower than it was nearly two decades ago, yet the infant mortality rate for black babies remains higher than white babies here and throughout the United States. In Allegheny County, the mortality rate for white infants was 3.3 in 2016 (the latest data available). For every 1,000 black babies born that year, 14.9 died. That’s a total of 77 infants: 30 white, 38 black and nine of other races. Allegheny County does better than the national average on keeping white babies alive and worse on keeping black babies alive. The 2016 national averages for infant mortality was 4.9 for white babies and 11.1 for black babies. A year prior, the U.S. infant mortality rate of 5.9 for all infants was worse than several countries like Czechoslovakia (2.5) and Japan (1.9). But if you look at the black infant mortality rate for Allegheny County in 2016, it was worse than Turkey’s (10) and Mexico’s (12) rates. To address this perennial problem, two approaches being taken are: programs with an emphasis on preventative care, education and broader access to health care for women, and the other embarking on new data-driven research that can be translated into policy and programming. Healthy Start, the leading local organization working to decrease infant mortality, has experienced a significant decrease in funding since the early 1990s. Between 1991 and 1995, Healthy Start received $15 million in federal funding annually, said Dannai Wilson, maternal and child health program manager at the Allegheny County Health Department. Healthy Start received about $1.8 million per year in federal funds for 2017-18 and 2018-19, said Jada Shirriel, chief executive officer of Healthy Start. The county health department receives fewer than $2 million annually for three home-visiting programs "and other public health services for women, children and fathers," Wilson said. The three health department home-visiting initiatives are: the Nurse-Family Partnership, Healthy Families America and a program known as We CARE. The funding cuts means limited capacity to offer services. “We believe that every mother/caregiver can benefit from home visiting, however, funding constraints inhibit that possibility,” Wilson wrote in an email. “Therefore, over the years, programs have had to target services, which has had the unintended consequence of creating stigma around home visiting and paints the picture that it is only for ‘that’ type of mother. Some experts who work with families or study the issue of infant mortality say that improving an infant’s odds of thriving must begin with the mother, and ideally, before pregnancy. “We think of her when she is pregnant, but the reality is what was her life before that? Because she is going to bring that to her pregnancy,” Wilson said. She also pointed to challenges that some women face such as difficulty getting to doctors. Preventative care for women is what will truly reduce mortality rates, for both infants and their mothers, said Lisa Bodnar, vice-chair for research and associate professor of epidemiology in the Department of Epidemiology at the University of Pittsburgh Graduate School of Public Health. In Pittsburgh — home to world-class hospitals — three fall events will draw experts to dissect the longstanding concerns of infant mortality and maternal health. The Maternal Health Leaders Symposium is set for Oct. 8, with an emphasis on research and evidence-based programs that address causes related to maternal and infant deaths. That event precedes the Magee-Womens Research Institute Summit on Oct. 9 and 10, an international conference focused on women’s health. And the health department will host the All for One Summit on Dec. 4; it is a one-day think tank focused on infant mortality. To increase a woman’s chance of having a healthy baby born to term, there’s a push to make resources more accessible. Women don’t always get to their prenatal and postpartum appointments at the rate recommended, Shirriel said. Healthy Start served nearly 1,000 adults and children in 2017. Most women who enrolled in Healthy Start programs did so in their second and third trimesters. And 94 percent of the babies reached that milestone first birthday. “Research shows that pregnancy is a great time for behavior change; however, a lot of times we—society—we give them information and we expect them to do things, but there are barriers in place,” Shirriel said, such as difficulty getting to and from appointments. The leading causes of infant death include problems related to low birth weight, short gestation, congenital problems, Sudden Infant Death Syndrome (SIDS) or accidental suffocation, according to the the Allegheny County Health Department report spanning 2011 to 2015. Annual health department reports show factors that doctors have known about for years — like that premature infants are less likely to survive or that smoking during pregnancy is linked to low birth weight and poor birth outcomes. Researchers are trying to place a finer point on those issues. She said recently she got notice of a grant to conduct research on what the optimal maternal weight gain is during pregnancy. Also in Pittsburgh, the Magee-Womens Research Institute is leading a big data project, known as MOMI, aimed to help develop predictive models for preventing preterm birth and infant mortality. Researchers pulled information from nearly 200,000 deliveries since 1995 at UPMC Magee-Womens Hospital to create a broader picture of risk factors. “We are talking a lot about big data and its potential to solve other important health challenges like cancer and heart disease. I think what’s really unique is leveraging that approach on the community level to attack this crisis that is infant mortality,” said Dr. Janet Catov, an associate professor in the departments of Obstetrics, Gynecology & Reproductive Sciences and Epidemiology at the University of Pittsburgh. The project is also using county data that may include factors such as the health of other children in the family and access to support services. “It’s that kind of data that is often hidden to us on the medical side,” Catov said. The research will lay the groundwork for evidence-based programs that target the most vulnerable, she said. Brock is one of 13 specialists for Healthy Start; 11 conduct home visits to women and children and two focus on visits to fathers. The programs are voluntary, and Brock said they go to “extreme measures” to encourage people to use the organization’s many programs. Healthy Start strives to reach not only pregnant women and families with young children, but also others in the community who those families might be getting information from about pregnancy and caring for children. Programs also support mothers in breastfeeding and even some aspects of household management, Brock said. Shirriel added that they also focus on “breastfeeding, fatherhood involvement, smoking cessation and mental health” because they are related to birth outcomes and infant mortality. The county also offers services. Through the human services department, pregnant women and families with children up to age 6 can access home visits, and through the county health department there are home visiting options for pregnant women and families with children up to age 3; special needs children may qualify for visits up to age 18. Healthy Start’s home visits serve pregnant women and families with children up to age 2. Allegheny County has pushed home visits in the last few years as part of its county’s Infant Mortality Collaborative. The initiative was founded in 2012 "to help address disparity in the infant mortality rate," according to the county website. The county coordinates efforts with the 28 federally-funded family support centers throughout the area with a range of services, including prenatal care, child development, goal planning, parenting education and medical support. On a recent Monday, Carrick resident Amanda Gordon stopped by one of the centers, the Family Care Connection in Mt. Oliver, for a parent support group. Four mothers opened up about their struggles and how they try to take time to care for themselves. Gordon, 39, opened up about the loss of her child, who she said was stillborn. Infant mortality rates count only live births of children, leading up to the first year of life. To Gordon though, it was a life and she still grieves for “Baby Gordon,” who was buried in April. "I'm like a Timex. I take a licking. I keep on ticking,” she said. “I feel like I don't have any other choice, because I have to advocate for my kids." Some hospitals are also expanding access for patients. Through UPMC Magee, women can communicate with a physician through video conferencing via regional clinics in Erie, UPMC Horizon, UPMC Northwest, Bedford, Altoona, Uniontown and Steubenville, Ohio. The hospital system's telemedicine program aims to make it easier to see a doctor without making the trip. There are plans to expand those services to other areas of Pennsylvania, said Dr. Hyagriv Simhan, division director of Maternal-Fetal Medicine and medical director of obstetrical services at UPMC Magee-Womens Hospital. Ashby continues to welcome Brock into her home on a monthly basis. Brock and Healthy Start have helped, she said, and now she wants to give back. “I take it upon myself to advocate for myself and push [hospitals] to do what I need done now,” she said. Ashby now hopes to make a career out of helping other women advocate for their health and care for themselves. Healthy Start: Based on Lexington Street, this nonprofit is part of a network of more than 100 community-based Healthy Start projects in the United States. Programs include home visits for expectant mothers and families with children up to age 2, a fatherhood program, breastfeeding support and more. 412-247-4009. Allegheny Link: A central referral line for services available to support families in Allegheny County, from home visits to breastfeeding support. American Academy of Pediatrics provides information on safe sleeping practices for infants. She graduated on Aug. 24 from a 12-week pilot Community Health Advocate program that aims to empower women to mentor families. Two groups had already completed the program, led by Healthy Start. A third group started on Oct. 5. Healthy Start spends about $9,000 on each cohort. One goal of the program is to leverage women’s role in the community to help reduce disparities in the infant mortality rate and reduce preterm birth rates. 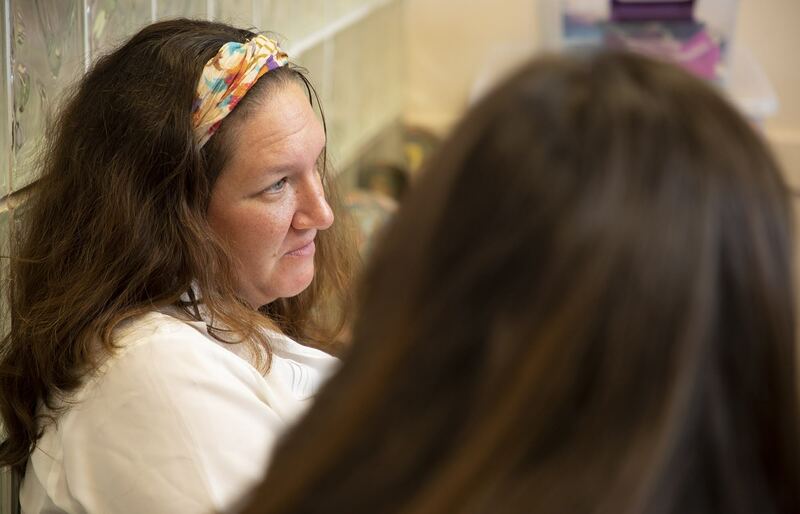 So far, one graduate was hired by Healthy Start; two others have been trained as certified lactation counselors; and three have been offered employment in a health-related field. Ashby wants to educate and support other mothers. She said she plans to create educational podcasts on topics, such as child care, with Healthy Start. Update (10/9/2018): This story was updated with additional information provided by Jada Shirriel, chief executive officer of Healthy Start. Kimberly Palmiero is a journalist based in Pittsburgh. She can be reached at kimpalmiero@gmail.com. This story was fact-checked by Lindsay Patross. Sorry. You can’t even comprehend how wrong you are. Thank you for pointing out the documentary. It is advocating, however, for 20-30 years solutions. I do not disagree with the direction. But the timing makes it an unusable answer. Counting words is also not useful. The whole focus of this article is on low-income and minority pregnancy.